IN the beginning, God created the heavens and the earth. But after such hard work, he was thirsty. And thus could think of nothing better than to create the grape and, from its fruit, make a fine spirit. He called itPISCO. And he saw that it was good. And it became the elixir of other gods. Later, he continued to entertain himself creating the animals, plants and the rest of the world. When it is proclaimed in Peru that God is Peruvian, it’s no joke, actually, it is a popular saying which people take very seriously. And when it is claimed that piscoisPeruvian, it’s viewed as an undeniable and irrefutable fact, based upon historical evidence. Today, Pisco is Peru’s flagship drink and a spirit that continues to gain more international fans every day. The history of pisco can be traced back to the days when the Spanish Conquistadores arrived to the realm of the Incas in 1532. Thirsty of greed, the invaders landed seeking the mythicalEl Doradogold of the ancient Peruvians. They confronted misery, fought bloody battles and feared arrows and bludgeons. Through this process, the colonists brought with them products from Europe which might make their lives less of a burden, so far removed from their homeland and loved ones: among these were cattle, olive oil and grapes. Once Lima was founded, in 1535, the first churches of the new colony were built. These needed consecrated wine for the religious services in order to solidify the spiritual conquest of the natives. The wine the Conquistadores brought was scarce and guarded with avarice; destined only for the Holy Church, or they risked their souls with a one-way ticket to Hell – thus the incentive for vineyards in the newly conquered lands. Historians agree that the first grapes were imported in 1553 by the Marquis Francisco de Caravantes, most probably from the Canary Islands in the Atlantic Ocean, right across the northwestern coast of Africa. However, there is a heated debate about where in Peru wine was first produced. 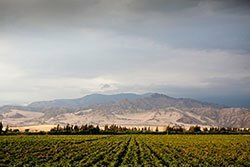 It is quite certain though that in 1563 vineyards were planted in the sunny lands of arid Ica, which became the cradle of pisco. Some years later, wine started to be produced. Apparently the outcome was good, the wine was liked by everybody and it started to generate demand. As a result, the Viceroyalty of Peru became the main producer of wine on the continent during the sixteenth and seventeenth centuries. It is not quite clear where in Peru pisco was produced for the very first time. What we do know is that in 1572, Álvaro de Ponce founded the town of Santa María Magdalena in the valley of Pisco, which decades later was simply named Pisco. This town had a port which became the most important route for this liquor that carried its name. We also assume that the term pisco originated from Quechua. The Spanish chronicler Pedro Cieza de Len wrote in his Crnica General del Per (General Chronicles of Per) that a century before the arrival of the first grape vines to South American soil, the pre-Hispanic chief Chuquimanco (lord of the lands south of Lima) called the birds flying over the ocean during sunset pishqus. Pisco is the name of birds concluded the chronicler. According to Peruvian historian Lorenzo Huertas, the production of pisco started at the end of the 16th century. 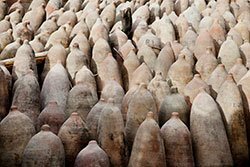 Once the juice from the grapes was fermented, distilled and made into liquor, this was stored in clay jars called piscos. 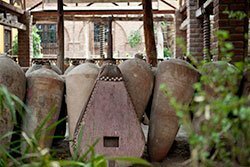 Johnny Schuler, proprietor of La Caravedo, where pisco Port is now produced, says: back then, people would say 20 piscos of liquor or 100 piscos of liquor, referring to the clay jars. Eventually, the jars were simply named pisco. Another account illustrates that Francisco de Caravantes (presumably the son of the Marquis) was the first to identify the clear liquor with the town of Pisco, formerly Santa Maria Magdalena. In a document dated 1630, it says, The valley of Pisco is still the most abundant with excellent wines in all Peru. There is one drink that competes with our Jerez (brandy) called Pisco made from small grapes and it is one of the most exquisite liquors drank in the world.” There is no doubt that pisco was a favorite since its inception. The history of pisco is full of triumphs, excesses, and downfalls. In a few decades it became the favorite liquor of multitudes and thus a valuable exchange asset. Around 1580, Sir Francis Drake, the famous British sailor and explorer who trafficked in slaves in the name of Her Majesty arrived to the port of Pisco and demanded a ransom for the prisoners he had captured. The villagers paid him off with 300 barrels of pisco. The local production of wine and pisco reached high levels mostly thanks to the Jesuits. They produced both beverages in Lima, Arequipa, Cusco, Ayacucho and Potosí (in what is now Bolivia). The expansion of these liquor’s markets achieved unusual limits during the sixteenth century. Pisco and wine were exported to many places within and beyond the confines of the Spanish Empire, leaving from the port of Pisco. The Spanish Crown tried to ban the production and commerce of Peru’s piscos and wines, but that didn’t stop the local grape cultivation, especially in the Ica region, in turn generating a vital maritime activity along the Pacific coast. Since 1670, the Ica and Pisco valleys mainly exported this grape liquor in Pisco jars now referred to asbotijas,large clay containers.The Argentinian researcher Pablo Lacoste estimates that the production of this spirit that came mostly from the Pisco region summed up to 90 percent of the total wine or spirit industry during the 18th century. 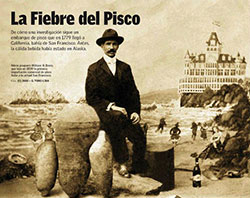 Around the mid-19th century, pisco arrived to the coast of San Francisco during the gold rush. Herbert Asbury wrote about the spirit in his book The Barbary Coast, an account about the life and excesses in this city between 1878 and 1880: One of the most famous bars was the Bank Exchange a magnificently appointed saloon paved with marble and decorated with oil paintings valued at hundreds of thousands of dollars The Bank Exchange was especially noted forPisco Punch, invented by Duncan Nichol During the eighteen-seventies it was by far the most popular drink in San Francisco. even though it was sold for twenty-five cents a glass, a high price for those days. The secret of its preparation died with Nichol, as he would never divulge it. But descriptions of San Francisco from this period abound with lyrical accounts of its flavor and potency, and it must have been the creme de la creme of beverages. Its base was Pisco a brandy distilled from the Italia grape also known as the Rose from Peru named for the Peruvian port from which it was shipped. And the brandy itself, even without the other ingredients which made it into punch, must have been something to write home about. Rudyard Kipling, the celebrated author of The Jungle Book, described pisco as “the highest and noblest product of the age” I have a theory it is composed of cherubs wings, the glory of tropical dawn, the red clouds of sunset, and fragments of lost masterpieces by dead poets. Say no more. If around the mid-19th century Peru had around 150 thousand hectares of grapes destined to pisco production, several studies suggest that the wine and pisco production started to decline gradually at the end of the century. Our wine and pisco industry was destroyed during the war against Chile, assures Johnny Schuler. 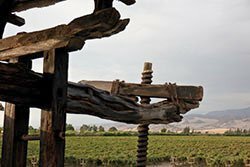 During the invasion of our country, the Chileans destroyed this industry to eliminate any wine competition and consequently ruined our pisco production. Sad but true. Peru was once a country where people boasted about their whisky and beer drinking habits. The pisco culture disappeared and was consigned to oblivion for decades. One day a sociologist will have to explain this gap. The pisco production level dropped during the 20th century to 11,500 hectares in 2002. The main reasons were the lack of incentives and the substitution of grapes for more profitable crops in the short-term. At the beginning of 2003, the Peruvian government decided to boost the growth and export of grapes, passing special laws in order to reach their objectives. The legal base existed. In 1964, Law #15.222 had been passed establishing that the Executive branch should set the conditions for which the production of a grape spirit should be controlled so that manufacturers could have the legal right to use the “pisco” denomination, and their specific brand, with the location of the place where it was made. Three decades later, in 1990, the term “pisco” was declared a Peruvian denomination or origin (PDO or DOC). What followed was an aggressive campaign to recover a tradition that had been lost in the darkness of the past centuries. Nowadays, pisco is Peru’s flagship spirit and an important export. There remains a lot to be done, but the most important component is underway: the consumption of a pure spirit by a whole generation of mixologists in Peru and abroad that have discovered how versatile pisco can be for cocktail mixing and sipping. 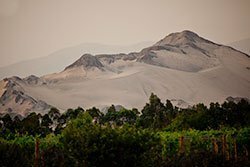 Read Where Pisco is made? There is no doubt that Peru is the cradle of pisco. This fine spirit elaborated from grapes is a product made in Peruvian territory, but in a specific geographic space that ranges from the coastal valleys south of Lima to the Tacna region near Chile, 1300 kilometers apart. fermentation of fresh grapes in the coastal valleys of Lima, Ica, Arequipa, Moquegua, and Tacna can be called “pisco”. 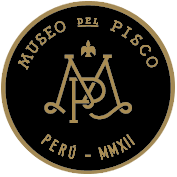 This means that any other liquor made of grape outside of this territory cannot be called “pisco” even if it’s made inside Peru. Even less if it’s made beyond Peru’s border. The norm is as crystal clear as pisco itself. It is like a given name: nobody else can use it. From a technical point of view, it is a designation to legally protect certain products made in specific areas like Chianti wine, French Champagne or Cognac. This prevents other producers to take advantage of a reputation built from the long-term investments by the original products. This means the product is protected as much as your own name. In Peru the DPO is awarded by the National Institute for the Defense of Competition and the Protection of Intellectual Property (Indecopi), founded in 1992. This entity requires that liquor producers submit samples of their spirits to a certified laboratory. They are then analyzed to determine if the liquor complies with the requisites established by the technical norms for pisco. At the end of the day, a DPO is a guarantee for the consumer about the certified quality of the pisco that is purchased and consumed. 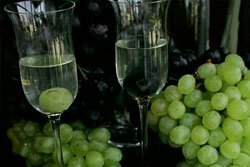 Only the following grapes can be used to produce pisco: quebranta, negra criolla, mollar, italia, moscatel, albilla, torontel and uvina. In the case of uvina, the PDO is limited only to the districts of Lunahuan, Pacarn, and Ziga, in the province of Caete, near Lima. In all these cases pisco is named pisco puro (pure pisco) followed by the name of the grape used. If there is a mix of grapes, then it is pisco acholado. The juice that comes from one grape variety with an interrupted fermentation process is called pisco mosto verde. 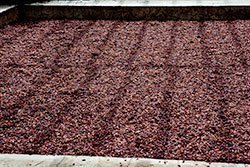 Read How Pisco is made? highest part of the pisco cellar, from where juices descend by gravity to fermentation tubs and then to the copper pot stills. Grape-stomping known in Spanish as pisa de uva is started during the afternoon to avoid the extreme heat of the southern desert areas, and goes on until the evening. A team of six grape stompers or pisadores spread the grapes in the winepress. According to tradition, stompers sing and joke while doing the job, drinking chinguerito which is a punch made from fresh grape juice mixed with pisco, lime juice, clove and cinnamon. The vendimia, or harvest festival, is a week-long celebration and worth a visit if you can time it correctly. After six stomps, the winepress locks are open and the grape juice falls into a maceration tub known as a puntaya, where it remains for 24 hours. Then the juices a restored in fermentation tubs that, nowadays, are made from concrete or stainless steel. Today, the whole process is a very mechanized and efficient affair. from the natural sugar of the grape, is transformed into pyruvic acid that forms an ester. This molecule loses carbon dioxide when it expels the carboxyl group from the pyruvic acid, a biological mechanism common to yeasts. The acetaldehyde formed accepts two protons from the NADH and from those released in the initial stage of the glycolysis, transforming it into ethanol or alcohol for human consumption. In order to achieve this, small natural yeasts that are in the grape skin digest a gram of sugar and process it into half a gram of alcohol and half a gram of carbon dioxide. The process lasts seven days. The pisco producer controls fermentation, preventing it from stopping or surpassing certain limits. 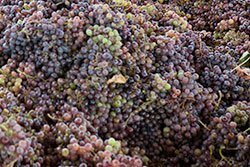 Likewise, the temperature of the grapes juices are regulated so they don’t increase too much, otherwise the grape’s natural aroma would disappear which is a main feature of pisco. Once the fermentation process is finished, the juice is taken to the copper vat stills to start the actual distilling process. The technique and art of distillation consists in regulating the external energy or heat to obtain a slow but constant rhythm that will enable the apparition of aromatic components at the precise moment. The process is developed in two stages: vaporizing the volatile elements of the grape juices and then condensing the vapors. This is a very popular table grape. Its berries are big and oval-shaped with a clear greenish color that can lead up to a light yellow. The Italia grape is produced mostly in the Ica region and characterized with an intense aroma and a soft palate. Albilla is a pisco grape of great quality, grown in the Ica and Moquegua regions. The berries are medium sized and have a yellowish color. Pisco made from this grape tends to have a great body. This grape is a favorite of the aromatic pisco aficionados. It has big, golden colored berries that are ideal to make extraordinary pisco, with plentiful aroma but not too sweet. The berries of this grape are light green. It has a slight sweetness that is retained through the distilling process. 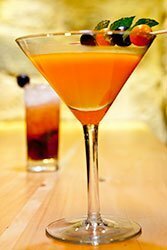 Thus, a torontel pisco is very aromatic and fruity. It is a wine grape that has adapted successfully to Peru’s southern coastal valleys in order to be used in pisco making. This grape is a mutation of black grapes brought by the Spaniards during the Conquest period. It has a violet-like color and the size of the berries is small. It is not a variety exclusive to Peru, but is produced mainly in the Ica region. A pisco with strong flavor and character can be made from this kind of grape. This is a black grape brought and cultivated by the missionaries during the Colonial period. It is produced in the Majes valley near Arequipa and in the Moquegua and Tacna regions. Mollar is a very sweet grape with medium-size berries that are pink-colored. This grape is only grown in the Ica region. It has similar properties to the negra criolla variety. This is a very small grape that is produced in the districts of Lunahuana, Pacaran, and Zaiga in the upper valley of Caete, south of Lima. The uvina grape survived the ravage of the Grape phylloxera disease and became a grape only grown in this area. The berries are purple colored. This distillation is made from one kind of grape, either aromatic or non-aromatic. The non-aromatic has little aromatic structure in its aroma. This prevents a drinker of over-saturation from organoleptic properties (sight, texture, taste and smell). It has complex flavors in the mouth. This kind of pisco is highly popular, especially when made with quebranta grapes, which is used to mix Pisco Sours. Pisco Aromatico is present with aromatic flavors from a wide variety of floral and fruity sources, confirmed in the mouth by its structure which is complex and interesting. These are ideal piscos to mix cocktails such as Chilcanos, where you have a lingering flavor in the back of the tongue. The Italia grape is the most popular among them. Mosto is made with fresh grape juices that have not been totally fermented. The juice is distilled before all the sugar has been transformed into alcohol which is why it requires a larger amount of grapes per liter of pisco, making it a more expensive product. It is a subtle and fine pisco with full body. Acholado is made from the blending of different grape variants. The term Aacholado comes from the colloquial definition of the word Acholoa which expresses the mixture of races in Peru’s Andean region. This kind of pisco combines a great structure of an aromatic pisco with the palate of a non-aromatic pisco. Each producer secretly guards the proportions of their personal blend.